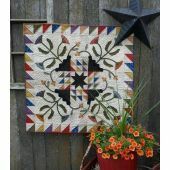 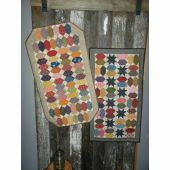 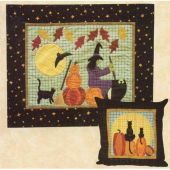 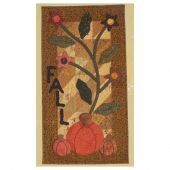 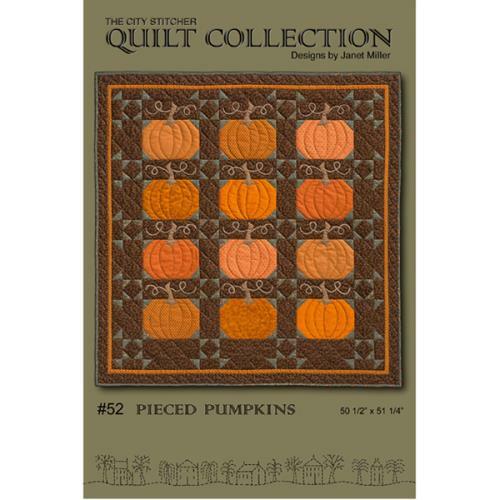 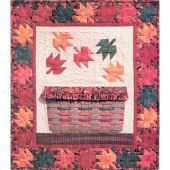 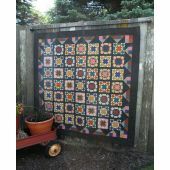 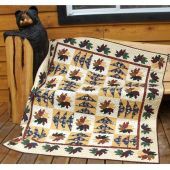 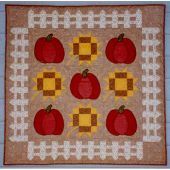 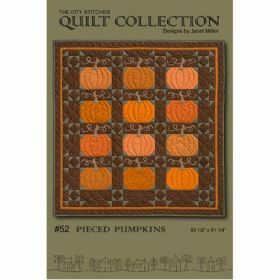 An alternating quilt pattern appears in the sashing of quilt, between pumpkins. 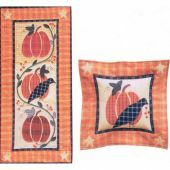 We used six orange fabrics for a scrappy look for the pumpkins. 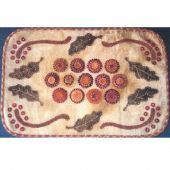 The tendrils are made using jute (a matching color of worsted yarn may be substituted for jute.). 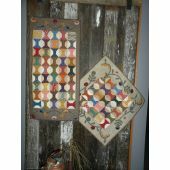 Make sure that jute is from a craft store, not hardware store as the kind from there is treated with chemicals and could damage fabrics in quilt. 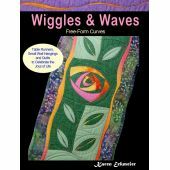 The tendrils are sewn down with a zig zag stitch. 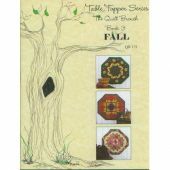 Directions for machine and hand appliqué are included.